No matter how many animals they categorize into species and phylums and kingdoms, they always seem to be discovering giant squids in the North Pacific or new mammals in Borneo. And no matter how many fruits and vegetables I’ve tried over the past year, I’m always finding new ones that I’ve never heard of. Food is so much cuter when it’s miniaturized. That’s why I buy baby carrots instead of their full-sized cousins. When I saw an eight pack of pears each the size of a baby’s fist, I snatched them up. 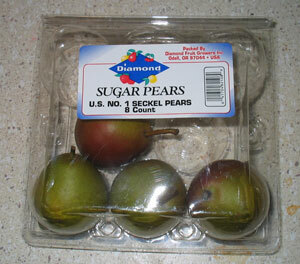 These itty-bitty pears are also known as sugar pears, and after I bit into one it was clear why. They’re very sweet. Their small size makes them great for portion control too. 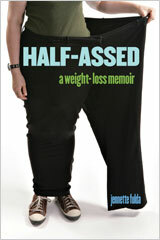 I ate one or two at a time when I just wanted a small snack. I’d buy them again, but I got them at the late, great Sunflower Market, so I’ll have to find another sugar pear dealer before that happens. I’ll comfort myself in the mean time with this site made by some people who are really bananas about pears. The red pummelo could also be used as a medicine ball during my “Strength and Endurance” class at the YMCA. It’s huge! I placed a bottle cap next to it in this photo so you can get a sense of scale. I cut it in half and was surprised at how thick the skin was. I bit into the flesh of the fruit and felt a bit disappointed that it tasted like a grapefruit. Then I took another bite and realized this was much sweeter than a grapefruit. Then I took another bite and decided I would never buy a grapefruit again if I could get a red pummelo instead. I also suddenly regretted not buying the grapefruit spoons I saw on clearance at Target the week before. I talked myself out of the purchase when I tried to think of the last time I’d eaten a grapefruit and couldn’t remember. 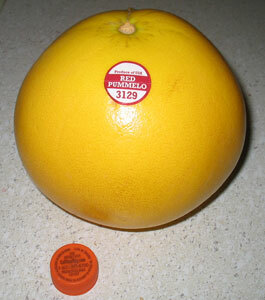 According to this site the modern grapefruit was developed from the pummelo. I haven’t seen this in the store since I bought it a couple weeks ago, so I might just be stuck with grapefruits for now. Come to think of it, why are grapefruits called grapefruits? They don’t taste or look like grapes. 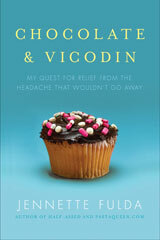 As the label says, you eat the whole thing, peel and all. The peel has a somewhat sweet taste and the flesh is tart. 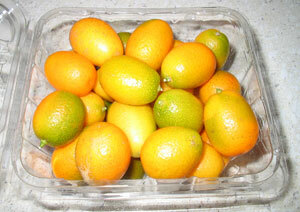 It was fun popping kumquats in my mouth, but they weren’t that extraordinary. I wouldn’t turn them down, but I won’t feel unjustly robbed of their presence in the off season. 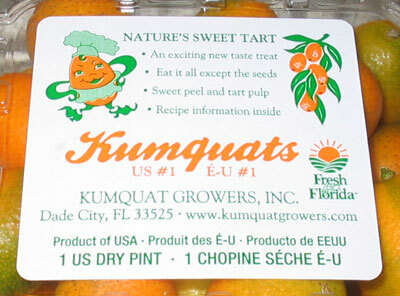 It’s so much fun to say the word “kumquat” that I doubt any taste experience could compare.